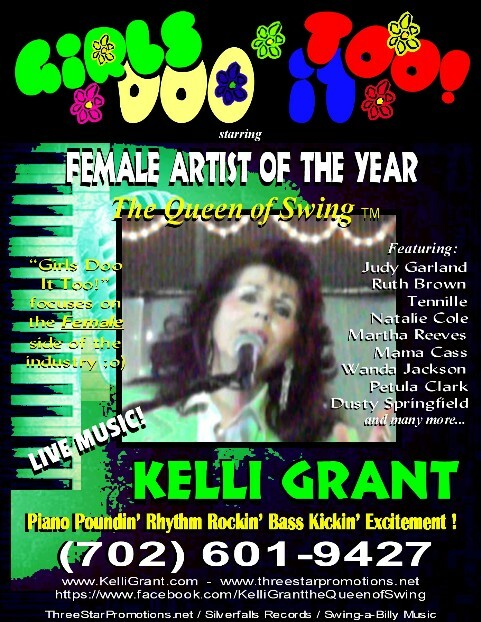 Kelli Grant, the Queen of Swing™ an award-winning multi-talented artist. 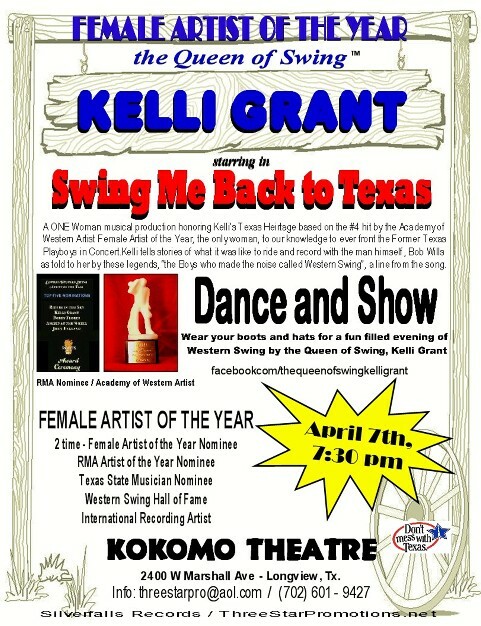 In a musical dialogue of how "swing is swung" Kelli performs a variety of shows based on her award-winning career. Showcasing her 11 CD's she has on the market which have received 4 & 5 Star reviews from around the world with French music critic, Bernard Boyat exclaiming her music, "superbes".she performs your favorite hit's along with a few originals. She is an original artist who has won and received many accolades including 3 - #1 hit's on international and independent charts. father was a King and many more with funny stories to go along with the musical dialogue. 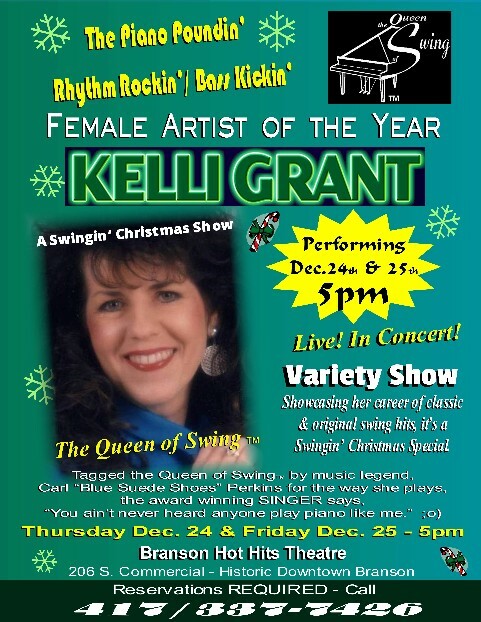 Please ask about her Branson, “Swingin’ Christmas Show” featuring favorite classic Christmas standards that Swing and Rock, It’s music you can dance to. For several years now, Kelli has worked as a solo artist, playing all music LIVE on 2 keyboards utilizing an electric drummer. But she also has scored charts for a band. (Blues) original, "The Way Love Use to Be". we should point out to you immediately. Her music is LIVE!!! That’s right … Every musical note you hear is LIVE! on a 2 keyboard all while she is singing. This is not an easy feat. However; just to be honest, we must confess that because Kelli is following the "BEAT", its evolution she needs a drummer. live drummer if you prefer as well as a full band as she has musical scores for her music written by the music graduate. The budget you need to work with is achievable with this "exceptional entertainer" as proclaimed by Marshall Regional Arts Director, Geraldine Mauthe. Songwriter and she is funny and … very attractive. Crowned "the Queen of Swing" by music legend Carl Perkins for the way she plays piano. Texas Department of Transportation Director; "Great Voice and we love the song...."
loves and it will "get you up and off of your seat." Kelli is available for Private Parties, Special & Cooperate events, Weddings … this is the perfect act for any occasion.